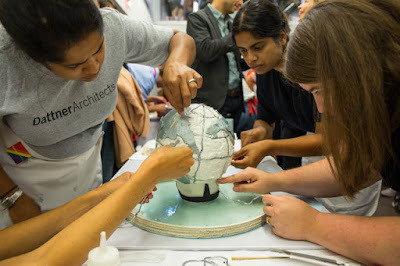 Dattner Architects construct a sweet model of the World's Fair Unisphere. Celebrating its second year, the Great Architectural Bake Off blends the skills of great architects with my very favorite thing, baked goods! Click over to Gothamist to read about the exciting event and see all of the enticing architectural cake varieties! Gothamist: "Check Out the Iconic Buildings Built from Cake at the Great Architectural Bake Off"